Amazon’s Apple Fest brings with itself offers and discounts on many of Apple’s popular gadgets, including the iPhone Xs, Xs Max as well as the MacBook line-up. Despite shrinking market share, and increasing gadget prices, Cupertino-based tech giant, Appel, still remains one of the bigger tech brands in the country. The company enjoys a brand loyalty that very few other brands can match up to. But with Apple’s magic waning a little because of the prohibitory pricing of its devices, the company has partnered with e-commerce platforms to roll out sales and offer its devices at aggressive discounts. The latest of which is the Apple Fest on Amazon which starts from March 22nd and runs to March 28. The Apple Fest brings with itself offers and discounts on many of Apple’s popular gadgets, including the iPhone Xs, Xs Max as well as the MacBook line-up. The sale also sees Amazon partner with ICICI Bank to provide users up to 5 per cent extra discounts on EMIs — on both debit and credit cards. Here are the best deals you find during the offer. 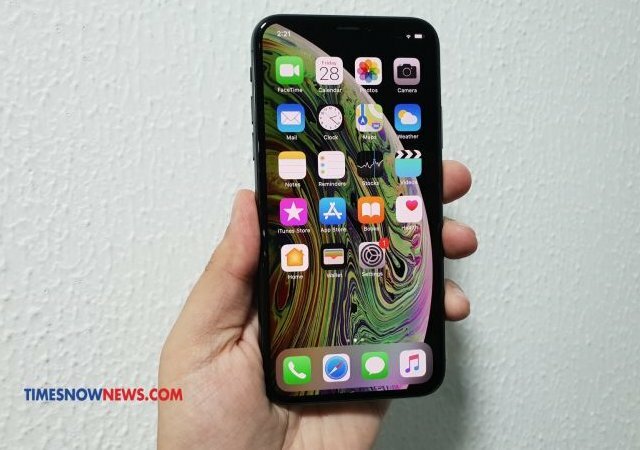 The 64 GB entry variant of Apple’s special iPhone launched to celebrate the 10th anniversary of the first iPhone is currently available on Amazon for as low as Rs 73,999, representing a Rs 17,901 discount on the Rs 91,900 regular price tag of the device. Although not the latest device in the iPhone line-up, the device still remains one of the best smartphones you can get your hands right now as it comes with powerful specs. There’s a 5.8-inch diagonal all-screen OLED Multi-Touch display, featuring 2436 x 1125-pixel resolution at 458ppi and True Tone technology as well as a 12-Megapixel wide-angle and telephoto cameras and a front facing 7-Megapixel TrueDepth camera. For buyers looking for something new, the 64GB variant of the iPhone Xs is also available on sale — albeit not a price as attractive as the iPhone X. The device is being offered at an 8 per cent discount bringing its otherwise steep Rs 99,900 price tag down to Rs 91,490 — which can be brought down some more by availing ICICI Bank powered EMI service. In terms of specs, the iPhone Xs represents the latest in iPhone technology, but only brings incremental upgrades over its predecessor –the iPhone X. The display on the device is a 5.8-inch Super Retina display (OLED) with HDR1, while the chipset inside is Apple’s powerful A12 Bionic SoC. Apart from these flagship iPhones, for buyers looking for an affordable iPhone to make an entry into the Apple ecosystem, the iPhone 6s is also available on sale. Although the discount isn’t too aggressive — Rs 1,901 — but the phone is still being offered for an affordable price of Rs 27,999. In terms of specs, the device comes with a 4.7-inch Retina HD display, good old TouchID for verification and an ageing A9 SoC. As for the cameras, there’s a 12-Megapixel lens at the back and a 5-megapixel camera at the front. Apple’s MacBooks are also being offered on steep discounts. The 13-inch model of the MacBook Pro can be snapped up at Rs 15,000 discount. The model with the Intel Core i5 processor, 8GB RAM and 128GB SSD is available for Rs 1,04,900. The 256GB of the same MacBook is available for 149,900 — a discount of Rs 20,000. Apple is also offering the iPad and Apple Watch too at great discounts. As such, the Apple iPad Wi-Fi 32GB is being sold for Rs 24,990. The Apple iPad Pro is with a 10.5-inch touchscreen is available for Rs 47,990. The company is also selling its Apple Watch at discounted prices during the 7-day sale. During the Apple Fest, the smartwatch is available starting at Rs 25,900.